It wouldn’t take long to count if you asked for a show of hands for anyone who liked losing their hair and going bald. While there’s nothing wrong with being bald – and many men rock the look – most people prefer a nice, thick head of hair. 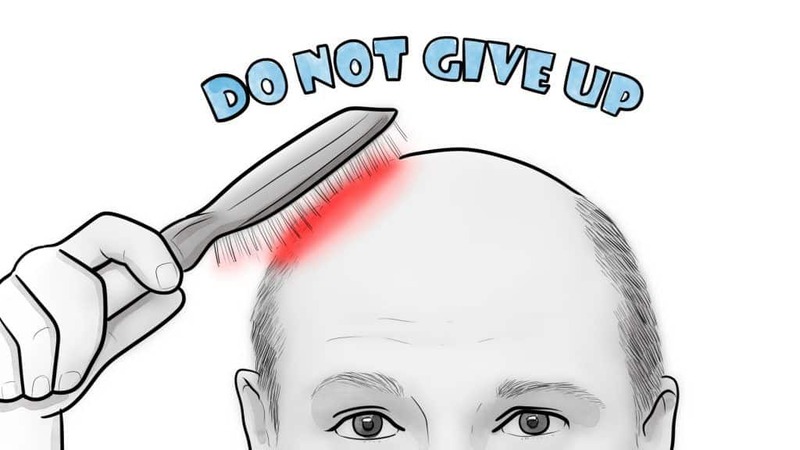 But there’s also not a lot a person can do about hair loss, that is, without doing something. Genetics, a hormone called dihydrotestosterone (DHT), stress, etc., all cause hair to fall out. Fortunately, there are plenty of solutions, including products such as laser combs and other systems designed to slow hair loss while promoting new growth. We’ll explore four of those products – including the iRestore Laser Hair Growth System – in this post, along with other topics, such as what to look for when buying them, and laser combs vs. laser helmets. Do laser combs and systems really work? So, laser comb or laser cap – What’s the right choice? 1. Is it a helmet or a comb? The type of device you choose comes down to laser combs and laser helmets (or caps). Combs are less expensive, but require manual use. Helmets fit on your head before they’re switched on to begin the treatment. But, yes, they are more expensive. That said, you must decide between the convenience of use (helmets) vs. a price that best fits your budget. Also, a typical laser comb session doesn’t take as long as a session under a helmet, although not in every case. 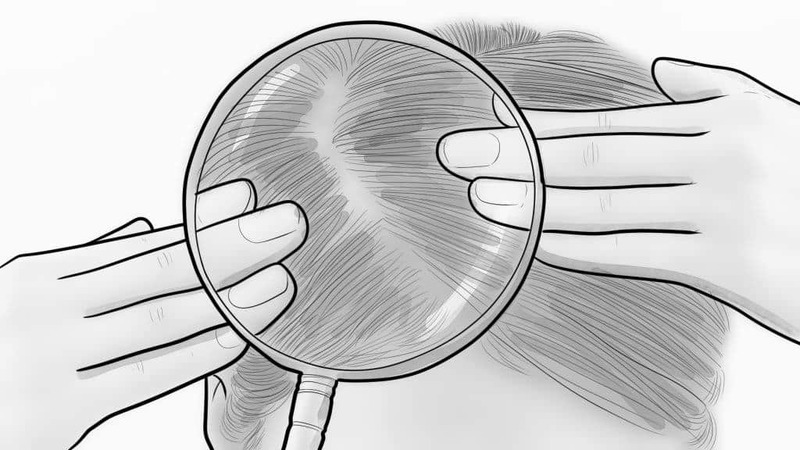 What is the severity of your hair loss? If you have bald spots that are smooth and shiny – which means there aren’t any dormant hair follicles in those areas – then low-level light therapy isn’t for you. LLLT cannot reverse balding. We’ll mention “FDA-cleared” often in this post. It means that the FDA gives its clearance for safety, but not approval for proven results. Minoxidil and Propecia are the only two FDA-approved hair loss treatments. 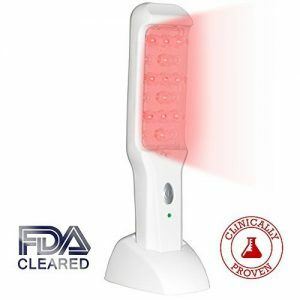 Another good reason for giving low-level laser treatments a try is that they’re very safe – hence the FDA “clearance” for many of them. 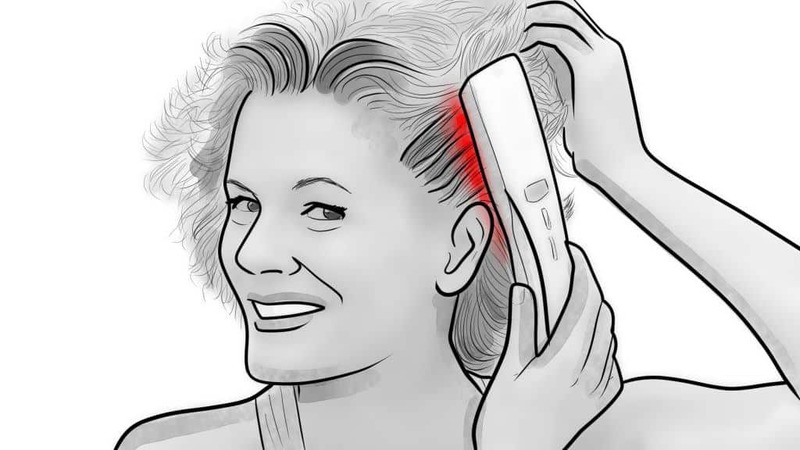 Users report very few laser comb side effects, if any, and most are very minor, such as an itchy scalp or mild irritation. 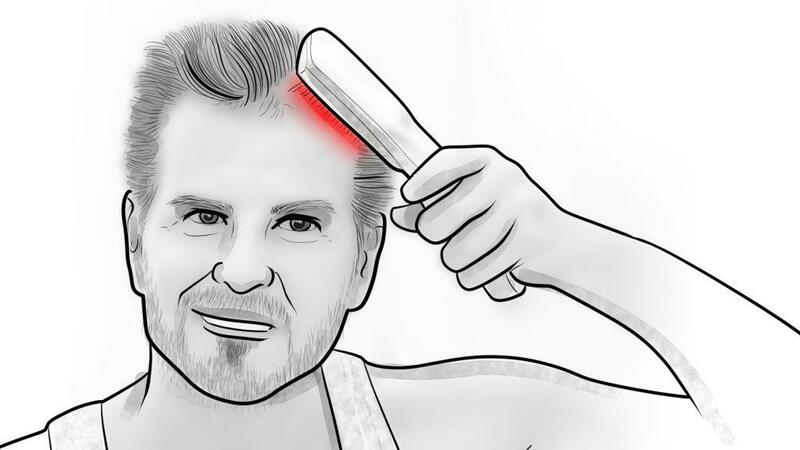 Despite some claims, LLLT therapy does not burn your scalp. Besides, many LLLT devices come with automatic shut-offs when your session has finished. Legitimate low-level light therapy devices shouldn’t be confused with sham products or, for that matter, expensive toys. There are studies to back them up and many users report positive results after using them for the suggested amount of time. That said, however, not all doctors are convinced that LLLT devices grow hair. But most feel that they provide at least a mild benefit. And we’ll get into clinical studies later in the post. LLLT combs and helmets aren’t cheap. As mentioned, combs cost less than helmets and caps but still make for a decent-sized investment. But if your current method of preventing hair loss and promoting hair growth isn’t working, LLLT devices may be worth the time, and money. The good news is the combs and helmets represent, for the most part, a one-time investment. Pills, shampoos and other hair-loss programs eventually run out and you’ll need to purchase more, while LLLT devices are (hopefully) built to last. OK, let’s move on to our laser comb reviews. 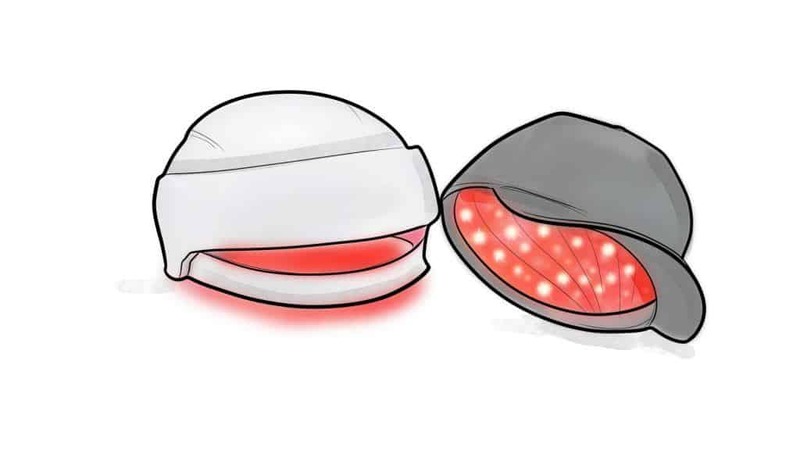 The iRestore system consists of a plastic helmet – with lasers and lights enclosed inside – that gives you a look of a stormtrooper, or as if you have a uniquely-designed bicycle helmet. It’s not just for looks, however. iRestore has what we think is the best laser for hair growth today. They’re so confident that you’ll grow hair and stop it from thinning that they provide a full-money back guarantee if you don’t see results within six months of purchasing it. That’s pretty strong stuff for technology that some still think of as something of a sham. To their credit, the folks at iRestore have clinical studies to back up their claims that users may see increased hair growth by over 40 percent. Their system also has FDA “clearance,” which means it’s approved for safe use, which is good to know when you place something filled with lasers on your head for 20 to 30 minutes at a time. The iRestore Laser Hair Growth System uses 51 medical-grade laser and LEDs to radiate light energy that’s absorbed by hair follicles. In turn, it enhances the cell metabolism rate while reactivating follicles that stimulate hair growth. While iRestore is effective on its own, you can also use it in conjunction with other hair-loss solutions such as Minoxidil, hair-growth shampoos, and supplements. Some physicians recommend using multiple products but, again, iRestore works all on its own. iRestore is safe and drug-free with no known side effects. 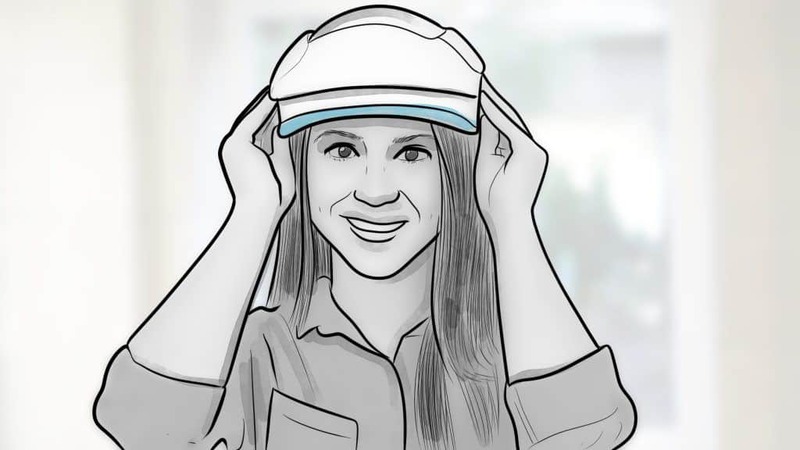 The iRestore dome (i.e., helmet) consists of lightweight white plastic with a built-in headband that keeps the helmet in place during therapy sessions. Soft cushions inside the helmet help it to fit comfortably on your head. You operate the device with a handheld controller that starts and stops the sessions, and which includes a small, backlit display with a timer. The LEDs automatically turn off after 25 minutes, although the controller emits a beep as a reminder. You power the unit with an AC adapter that plugs into an electrical outlet (you don’t have to worry about constantly re-charging batteries). The iRestore Laser Hair Growth System is safe enough to use every other day. Again, each treatment session last 25 minutes and the device automatically shuts off when it’s finished. A few safety tips before you use the iRestore system, or any helmet-like hair growth device, for that matter. For one, never stare directly into the laser light, because doing so can damage your eyes. Also, make sure that your hair is dry before use, and keep the device away from water and wet areas. Finally, keep it out of reach of pets and children. iRestore is suitable for men and women who experience hair loss and thinning hair. Most users experience positive results within two to six months. And here’s a video if you’d like to learn more. iRestore has proven results to back up the effectiveness of its product and the FDA approves it for safety. It’s the go-to choice for many people looking for solutions to hair loss besides shampoos, topical solutions, and pills. HairMax spent over 20 years of research and development to create a line of low-level laser therapy devices that provide a safe and effective hair loss system. “Effective,” that is, in that many users report positive hair growth results from using HairMax products. HairMax uses a process called Photo-Biostimulation – which it compares to the process of photosynthesis that causes plants to grow. What it does is deliver visible, nourishing light to the scalp to stimulate hair growth, which is, of course, the main point. In simpler terms, it extends the growth phase of hair (anagen) which helps create a cycle of new hair growth, as well as density and fullness. It’s also good for men and women who are experiencing hair loss and a lack of new growth. 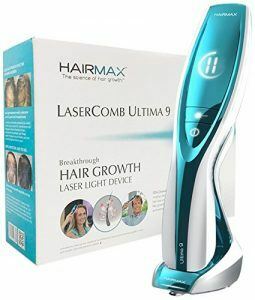 The HairMax Ultima 9 Lasercomb comes with 9 medical-grade lasers – hence the name – that emit low-level laser light. It’s safe and, in fact, has FDA clearance for safety, so you have no worries about damaging your scalp or hair. No, it won’t burn your scalp as some folks seem to think about laser combs in general. Your Ultima 9 laser comb also comes with an LCD screen that shows battery life and elapsed treatment time. The kit includes a charging cradle, power cord, a user manual, and a quick start-up guide. A few more words about Photo-Biostimulation (in a slightly more scientific way): it increases something known as ATP (Adenosine triphosphate), which increases the production of keratin – a protein that makes up most of your hair’s structure. ATP and keratin are responsible for stimulating cells such as hair follicles while prompting intracellular energy transfer. Meanwhile, laser stimulation treatments increase the blood flow to hair follicle cells while ensuring that nutrients get delivered more easily to your hair. The recommended use for HairMax Ultima 9 is three 10-15 minute sessions per week. That seems like a lot of combing – and you may develop some nicely-toned and muscled arms in the process – but, again, it’s only for three times a week and you can do it in the convenience of your home. So, put on some music, or your favorite television show, and comb away. HairMax is serious about this laser comb stuff and it shows in their line of combs, including the Ultima 9. They also have the Advanced 7, the Professional 12, the Prima 7, and the Lux 9. The Advanced 7 is the beginner model, but there’s no reason you can’t start with more advanced models such as the 9. You’ll find HairMax in most laser comb reviews and they’ve put in the time and research to become a leader in the field. Many users report positive hair growth results by following the Ultima 9 regimen, while FDA clearance is another plus. Theradome and technology tend to go hand-in-hand, and the company claims that its Theradome Hair Growth Helmet has the best technology of all other hair growth systems. With 80 lasers ensconced within it helmet’s confines, it certainly has the “power” other systems don’t. Our main concern, however, is if it works. From what many users and reviewers say, it is effective in treating loss while promoting hair growth – meaning it’s worth a deeper look. And it has the backing of hair rejuvenation experts such as Bosley, Hair Club, and other legitimate medical clinics. One of the things we like about the Theradome LH80 PRO is that you only need to use it a couple of times a week (at only 20 minutes per session). That’s not a significant amount of time when you think about it, and which one of us truly can’t spare 20 minutes on two separate days. You’ll likely be able to fit it into your schedule somewhere. Many users not only experience some hair growth from the Theradome LH80 PRO, but also notice less shedding. Furthermore, many of them experience an increase in individual hair diameter, which produces a thicker, more vibrant head of hair. The Theradome LH80 device is cordless (rechargeable batteries are included) to provide greater convenience during use, and comes with a simple power switch that turns it on. The lightweight plastic helmet comes with foam pads that allow it to fit heads of different sizes. There’s also a sensor that detects whether you’ve positioned the helmet on your head properly. It even comes with an automated treatment counter that keeps track of your total number of treatments, as well as with an automatic shut-off that engages after 20 minutes. Like other low-level laser treatment devices, the Theradome LH80 works well in conjunction with products such as Minoxidil, although that’s not a requirement. You should wash and dry your hair before use, however. Never use it – or other laser treatment helmets – with a wet head. Theradome recommends using it as directed for 18 to 26 weeks, when you’ll start to notice a decline in hair loss. They also claim that you’ll experience hair growth at 28-52 weeks. In any case, the Theradome LH80 comes with a 1-year manufacturer’s warranty and 120-day money back guarantee. There’s a lot to like about the Theradome LH80 pro, including that it’s convenient and easy to use. And if you’re looking for something you don’t have to use every day – or even several times a week – this is a device worthy of your attention. Hair follicles that grow dormant aren’t a lost cause. Instead, with a bit of healthy encouragement – as with the use of the NutraStim Laser Comb – they’re prompted back into motion and new hair growth is the result. The NutraStim comb is among the best laser combs on the market. It’s convenient, easy to use, and FDA-cleared for safety. While you won’t see hair growth results overnight, many users report more growth and less thinning from consistent use over a six-month period. 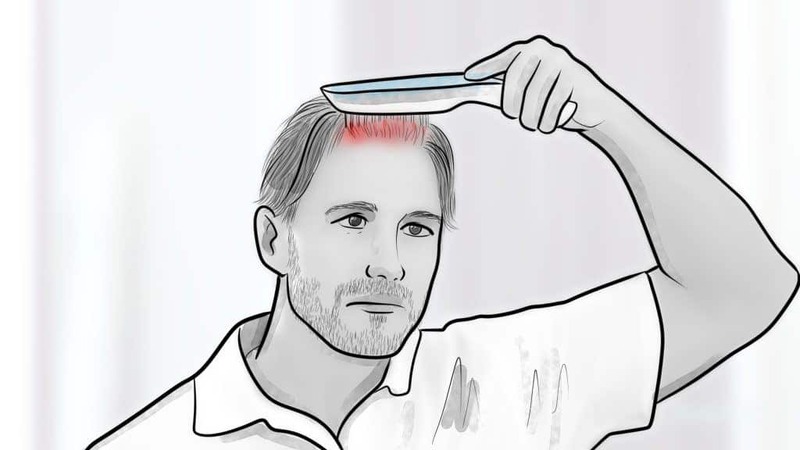 NutraStim’s comb utilizes 12 low-level lasers to stimulate the scalp and hair follicles. It energizes weaker follicles below the skin’s surface to produce stronger, thicker hair. Ease-of-use is another reason to give this comb serious consideration. It’s lightweight, fits easily into your hand, and is cordless. It comes with a charging base and as universal AC adapter. NutraStim recommends using their laser comb three times a week for eight minutes per session. It’s suitable for men and women who are 18-years-old and up. The company also recommends cleaning your hair and scalp before each treatment to prevent an oil build-up or blockage in your scalp’s pores. We also like that NutraStim comes with a full money-back guarantee. If you don’t like it for whatever reason, just send it back for a full refund. NutraStim’s laser comb is a safe, effective method for regenerating the growth of dormant hair follicles. It’s among the best laser combs available today. So, what’s the story? You’ve just spent – or are thinking of spending – a decent chunk of money on a laser comb or other type of laser therapy system. You’ve read reviews, you’ve done some research, perhaps you’ve even talked to others. But a pressing question remains – do they work? The answer is (drum roll) yes, although skeptics remain. It’s worth exploring a bit deeper, for sure. There are many studies and pages of research claiming that laser hair growth technology does, indeed, help you fight the battle against baldness. In one trial, conducted by the American Journal of Clinical Dermatology, over 100 hundred men and women were given laser combs which they used for 26 weeks. In most cases, those using the laser comb – and not a placebo as was given to other patients – had a noticeable improvement in the thickness and fullness of their hair. Moreover, the improvements weren’t dependent on gender or age. Meanwhile, two other studies published by the National Center for Biotechnology Information strongly suggest the low-level laser treatment devices work. 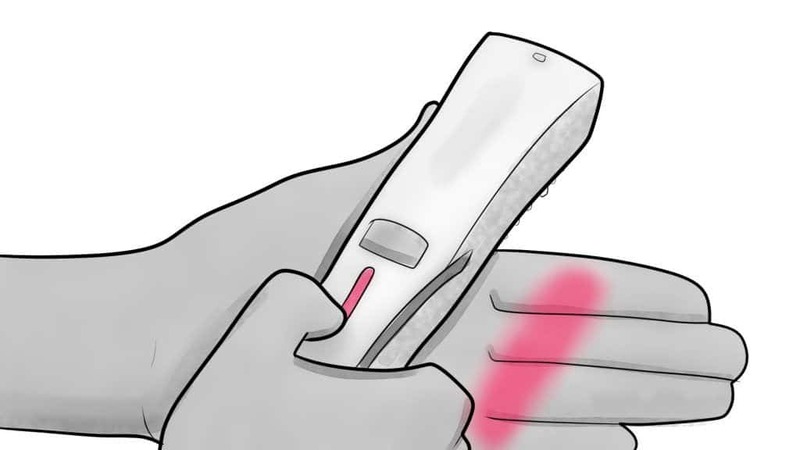 In one of the studies, 146 men and 188 women received a laser comb (one of three models) or a sham device. Participants received treatment three times a week for 26 weeks with a large percentage of those subjects showing less hair loss and thicker, fuller hair. None of the participants reported adverse effects. In another study, also published by the NCBI, 110 patients completed a study which involved the HairMax LaserComb and a sham device. Participants who used the laser comb reported an increase in hair density as well as overall hair regrowth. 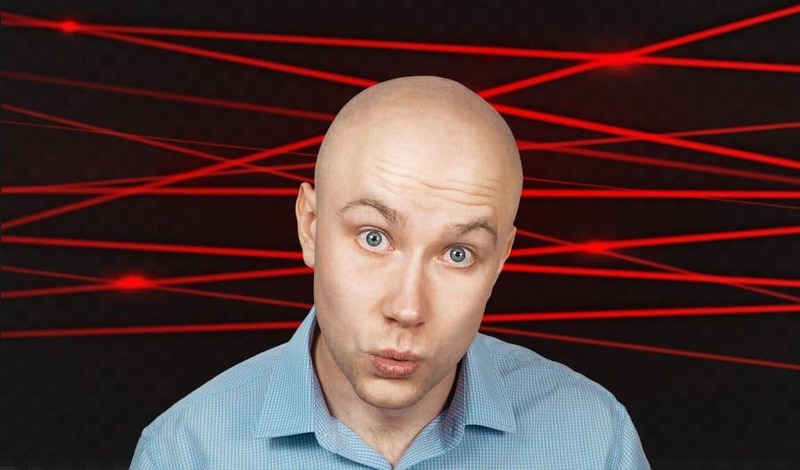 A word of caution, however: laser hair growth technology cannot reverse baldness, which marches on whether we want it to or not. But if your hair is thinner than you’d like, you can give it a boost with a laser comb or other device. While studies and research are promising, not everyone in medical fields is convinced that laser combs and systems are effective for treating thinning hair. And even publishers of studies such as the NCBI suggest that more research is needed. Some doctors go so far as to say they don’t work at all, while others say they provide a mild benefit. While they’re hardly endorsements that fill the buying public with confidence, living, breathing humans have testified that the devices work. One of the advantages of laser therapy is that it has few side effects and almost every study comes to that conclusion. There isn’t a lot of information regarding the long-term effects of using laser treatments, mainly because it’s a relatively new type of therapy. 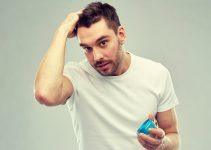 Temporary shedding or hair loss is one possible side effect. Yes, that seems like something of a shocker considering that hair growth – not loss – is the goal, but it only occurs in the first few months of treatment (if at all) and new growth will follow. While laser therapy isn’t FDA-approved, it does have FDA “clearance” for safety. The only FDA-approved hair loss treatments are finasteride (Propecia) and minoxidil (Rogaine). The discipline needed to stick with a laser treatment program may scare some folks away from trying it. A laser comb, cap, or helmet typically requires using it for one hour or more per week on an indefinite basis. Devices such as laser combs and helmets often look a bit intimidating. All that technology wrapped up in a single product – which usually looks space-age enough to belong in a Star Wars movie. STEP 1: Laser combs represent the manual approach of low-level laser treatment options. Unlike a helmet, which you simply place on your head before flipping on the power source, laser combs need a bit of old-fashioned elbow grease. STEP 2: While recommended usage amounts vary depending on the laser comb manufacturer, the typical suggested use is three times a week for 10 to 20 minutes per session. It’s best not to use it on consecutive days. 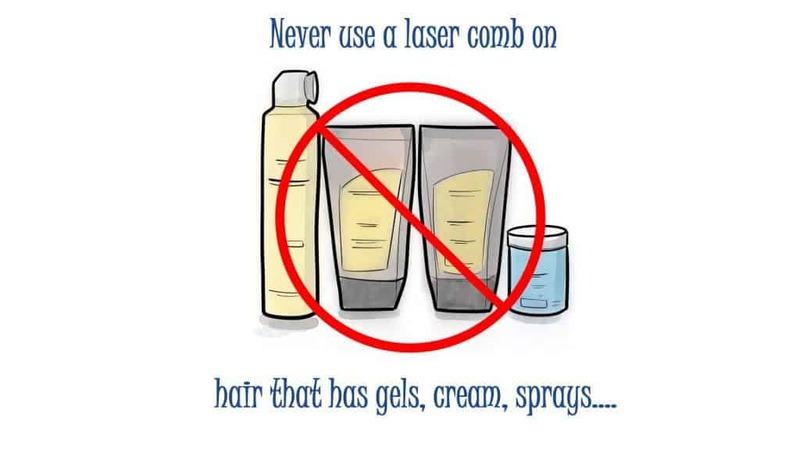 STEP 3: Never use a laser comb on hair that has gels, cream, sprays, or other common hair products. But it is OK to use on either wet or dry hair. 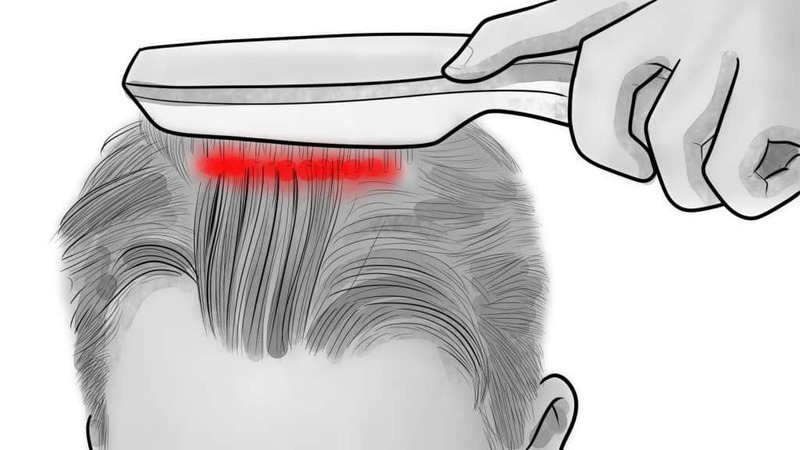 STEP 4: While it’s helpful that your scalp is clean before using a laser comb, it isn’t mandatory. STEP 5: Place the laser comb flat on your hand after powering it on. STEP 6: Move the laser comb slowly, not as you would when usually combing or brushing your hair. Leave it in a spot for a few seconds and then slowly move it to another spot. STEP 7: Start at the front of your hairline and work your way back. Make sure to cover all areas of your head. Once you’ve reached the bottom of your hair, work your way back to the top of it (remember, you’re not trying to style your hair). You’ll finish after you’ve covered all of your hair twice. STEP 8: Laser combs have a row of teeth aligned with the laser beams. But their purpose is to part your hair to let the low-level laser light penetrate to the scalp. STEP 9: If your hair is longer in spots, use your hand or a brush to lift it out of the way of the laser comb. STEP 10: Perhaps the most important thing to remember when using a laser comb is to move it slowly. STEP 1: Laser helmets and laser caps are basically the same things with the only difference being that the latter device resides under a baseball cap-type hat. But the how-to of using them follows the same basic principles. 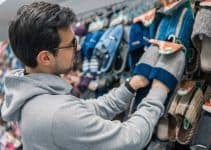 STEP 2: While every helmet differs from manufacturer to manufacturer, all of them are meant to remain on your head for the duration of a session, which is typically 20 to 30 minutes. Like laser combs, there’s no need to use them every day but recommended usage is three times a week (perhaps a bit more, depending on the instructions). STEP 3: Most helmets are adjustable to fit every head size and create little, if no, discomfort when in use. Some come with a power cord that’s plugged into a wall outlet, while others rely on battery power and come with rechargeable batteries. The nice part of cordless helmets is that you’re free to move around while undergoing treatment. STEP 4: Most helmets also include an incorporated timer that turns the device off automatically, meaning you don’t have to watch the clock. Many models come with various settings which correspond to a baldness pattern. Whether you choose a laser comb or a laser cap (or helmet) the basic technology remains the same. Both rely on Low Laser Light Therapy to stimulate hair follicles and, hopefully, produce new hair growth. And, in both cases, shrinking hair follicles become larger and rejuvenate hair growth cells that have become dormant. 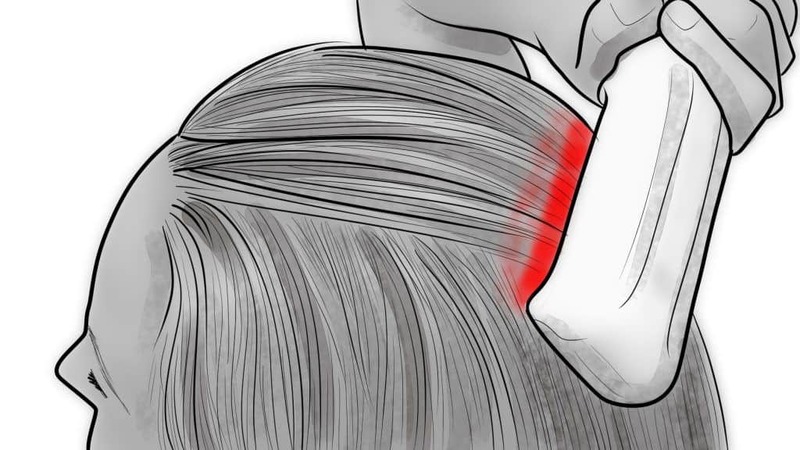 The science behind LLLT therapy is that medical-grade, low-level lasers and red light therapy penetrate the scalp and stimulate hair follicles. To dig deeper into the science, the photons emitted from the light stimulate follicles on a cellular level which, in turn, increases adenosine triphosphate production. ATP is the primary carrier of energy in the cells and enhances cell function and replication. But back to our original question. While laser combs and caps and helmets work from the same scientific foundation, there are differences between them – differences that may influence the results each device provides. Laser combs are handheld devices that usually have 2-8 LEDs or lasers. That’s far less than laser caps and helmets, but we’ll get to those in a minute. Rechargeable batteries provide the power source for laser combs which means you have the convenience of cordless operation. You’ll get multiple uses from one charge. Laser combs typically work by parting the hair (as you comb) to enable the laser light to pass through to the scalp. You start at the front of your hairline and comb your way back while waiting the designated amount of time between each pass. We’ve already discussed how to use a laser comb, but it’s worth mentioning again that laser combing isn’t like regular hair combing in that you only need a few passes over your scalp to do the job right. Instead, you’ll need to keep combing with a laser comb for up to 10 minutes, at least three times a week. Have you ever combed your hair for several minutes? It’s not as easy as it sounds, although you may build up your arm muscles in the process. One advantage to using a laser comb is that it parts the hair when transmitting light. That’s very helpful for a person who has long – but thinning – hair because it allows the light to reach the skin. Another advantage? Laser combs are less expensive than other forms of LLLT. Finally, laser combs are OK to use in conjunction with other types of hair loss treatments, such as Minoxidil. Many hair loss clinics use the two as a combination treatment that they say creates better results than either might produce on its own. Perhaps the most significant difference between laser helmets and laser combs is the amount of light emitted from the device. Helmets use a combination of lasers and red lights that total a minimum of 50 LEDs (all the way up to 200). That’s a lot of power. As the name implies, laser helmets consist of an outer shell (made of lightweight material) that houses the lasers and red lights. A typical laser helmet session lasts for up to 30 minutes, although usually not on a daily basis. 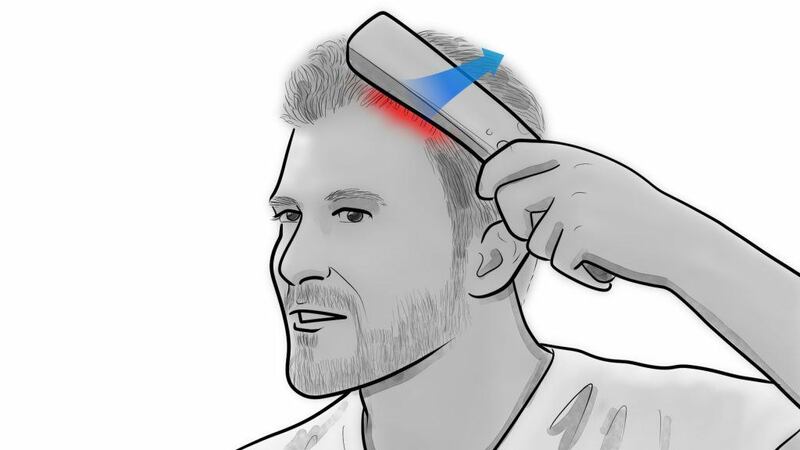 Laser helmets cover a much wider area of your head and scalp than combs – or, at least what a single pass of a comb covers. Laser helmets are very user-friendly in that you place the device on your head and turn it on. 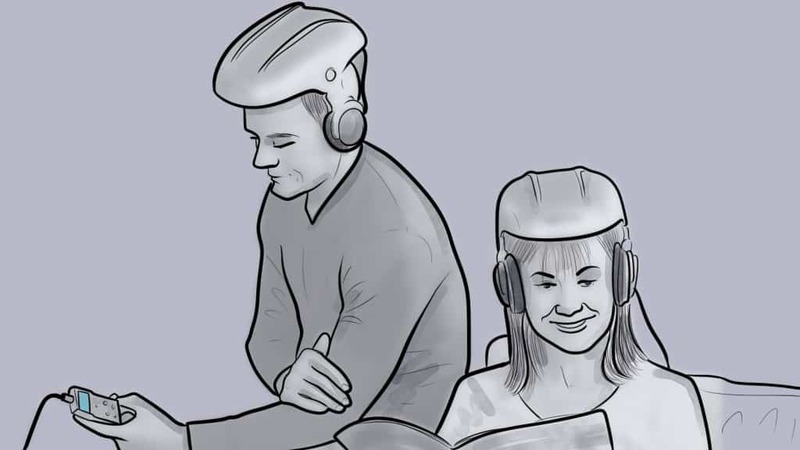 No comb must pass through your hair for several minutes; instead, your hands are free and you can engage in other activities, such as reading or listening to music, while you’re wearing the helmet. Laser helmets come in a variety of styles and offer different features. They include timers which turn the device off automatically once you’ve reached the allotted time. The power source for laser helmets varies from device to device. Some models plug into a standard electrical outlet, while others contain an internal rechargeable battery, allowing you to move about freely during the treatment session. Laser caps and laser helmets share many similarities. But laser caps take the form of baseball caps, or other types of caps, that you can wear anywhere. Rechargeable batteries provide the power source for laser caps and provide ultimate convenience. The laser technology of laser caps isn’t as powerful as the technology in laser helmets, and the total treatment time needed for laser caps is double that of laser helmets. Then again, you can wear your laser cap in public, so it’s not like you have to put your life on hold while you treat your hair and scalp. Our verdict? Which method of laser treatment you choose takes a few things into consideration – price, convenience and, of course, effectiveness. You’ll spend more for a laser helmet (or cap) but you get a more powerful treatment. A comb treatment only takes several minutes and many are cordless to provide supreme convenience. But if more power truly leads to better results – as many experts suggest – then a laser helmet provides a better overall treatment option, if you’re willing to spend the money. It’s not that there aren’t many low-level laser treatment options available, but the list of quality devices is shorter than you’d find with say, hair clippers or even DHT blockers. Some folks remain skeptical of their effectiveness, but one glance at online reviews reveals that many users report positive results. That said, we looked at the overall quality of the device, what others said (including users), as well as the price. We also like those that have FDA clearance for safety. That wraps up another review and, as always, we’d love to hear from you. Have you tried low-level laser treatment? What were the results? We welcome your suggestions and feedback and would love to hear from you. the 11 means twice the strength? I don’t know but I would like to know what setting I should be using. hi, i am considering about getting a LLLT helmet and would like to ask some questions? 1. how long have you been using? how’s the effectiveness so far? 2. are you taking other kind of treatment, medicine or supplement simultaneously?